TRP Guides: How to Find Someone on Instagram by Name? Instagram is one of the most popular social networks among those who love photography. Some may not see Instagram as a type of Facebook to keep in touch with family and friends, but little by little it is heading in that direction. On Instagram, you are going to find all kinds of people with different taste in pictures. You’ll see some accounts of people who love taking pictures of their cats, while other only take pictures of the landscape. Finding people to follow won’t be a hard task since the app might suggest people for you to follow. But, what if you want to find a particular person or group of people? How can you find someone on Instagram by only using their name? How to Find Someone on Instagram by Name? How to Find Your Facebook Friends on Instagram? How to Find People on Instagram by Using Your Contact List? How to Find Someone on Instagram by Only Using Their Picture? How to Find Instagram Users by Popular Posts? How to Find Someone on Instagram by using Hashtags Quickly? Learn How to find someone on Instagram by using your contact list? Find out How to find someone on Instagram by using their picture? Know How to find someone on Instagram by popular posts? Come to Know How to find someone on Instagram by hashtags? So without further ado, let’s proceed to learn this ultimate guide to finding people on Instagram. The search bar is a great and easy tool you can use to find someone on Instagram by name. If you are on the homepage, you should see a magnifying glass right next to the home icon. You should now see the same magnifying glass at the to next to Search bar. Type in the name of the person you are trying to find on Instagram and see if that person appears in the search results. In the results, you should be able to see the persons full name and their username. Make sure that you look carefully since there could be the possibility of various Instagram users having similar or identical names. If you are looking for someone on Instagram whose name you are not sure of, you can always search for a keyword you think they have on their username or user information. Instagram will look for users that have that keyword in their name or username. Let’s say you have found the person you are looking for. Tap on their name and the then on the Follow button. You are now following the person you have been looking for. Hopefully, you have learned your lesson, and you will never unfollow that person ever again, right? If you use Facebook to talk to family and friends more than Instagram, connecting the two accounts is an excellent idea. 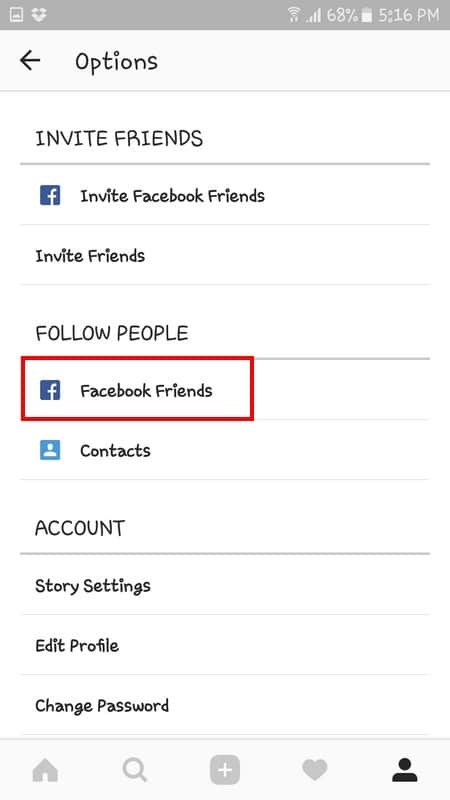 By combining the two accounts, the app lets you know what Facebook friends are also using Instagram so you can connect with them too. If you signed up for Instagram by using your Facebook account, then this feature has already been enabled. If you didn’t use your Facebook account, you would need to give Instagram access to it. You can easily do this by tapping on the profile icon on the bottom right. Now that you are in the Profile section of the app, tap on the three vertical dots at the top right. This will take you to options and right below Invite Friends; you should see the Follow People section. In that section tap on the Facebook Friends. At the top, you should see how many of your Facebook friends are on Instagram. There will be a big blue button that will let you follow all of your Facebook friends at the same time. If you want to follow only certain friends, scroll down until you find the friends you are interested in. To the right, you will see a follow button; each friend will have their own follow button. Tap on the ones you want to connect with, and you will now follow that friend. As weird as it may sound, not everyone is a Facebook fan and might not have an account. If you want to follow someone on Instagram who is not on Facebook, but is on your contacts list, that is possible too. To find people on Instagram by using your device’s contact list, you need to repeat the steps previously mentioned. Tap on the profile icon at the bottom and then on the three vertical dots. Now, under Follow People select Contacts. Instagram will ask you for permission to access your device’s contacts and once you approve you will see the number of contacts that have an Instagram account. Just like before, you will come to know how many of them have an account at the top and you will also see the option to follow them all. You also have the option of following only certain account as well. You are in quite a difficult situation. The only piece of information you have to find someone on Instagram is a picture you have of them. You don’t know their name or their username or have any other information that would make the search a lot easier. There is no guarantee that you will find this person but if the person you are looking for has used this image elsewhere, there is a hope. The more recent the pictures are, the better, but if not, use the most recent ones you have. One way you can try and find them is by using Google Images. If the image you have has been indexed anywhere on the web, which includes Blog, Social Media, Forums, etc., you will be able to find that person. Let’s just hope that the picture you have, has been used on Instagram, and if it has, then there is a high chance that you will find this person on Instagram. The more images you have, the better. Since this is going to increase your chances of finding this person, if you think that your family or friends might have pictures you don’t have, don’t forget to ask. Another useful way to finding images like this is by using reverse image search tools. 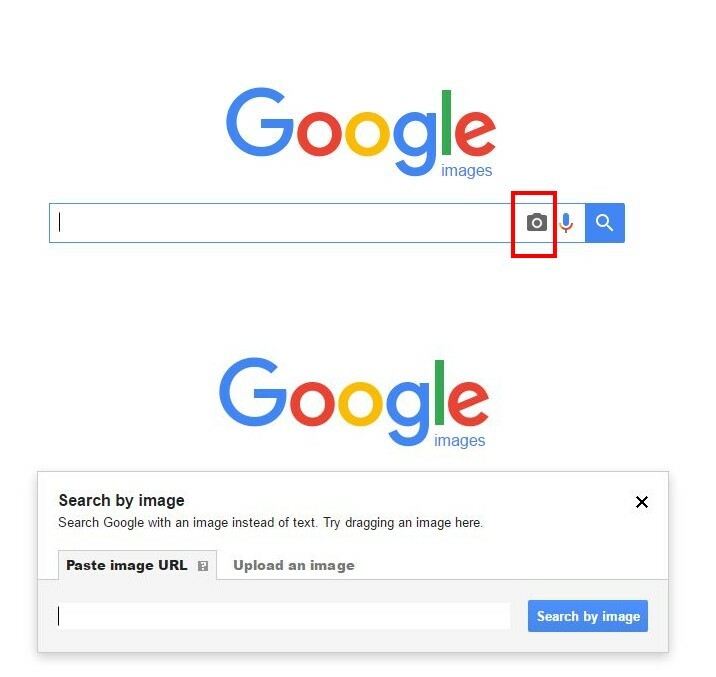 We have already shared a collection of the best reverse image search tools. One of them is TinEye Reverse Image Search. You can either upload the images you have or can also use the Image URL if that’s all you have. The web app is free to use and also offers plugins for your browser. 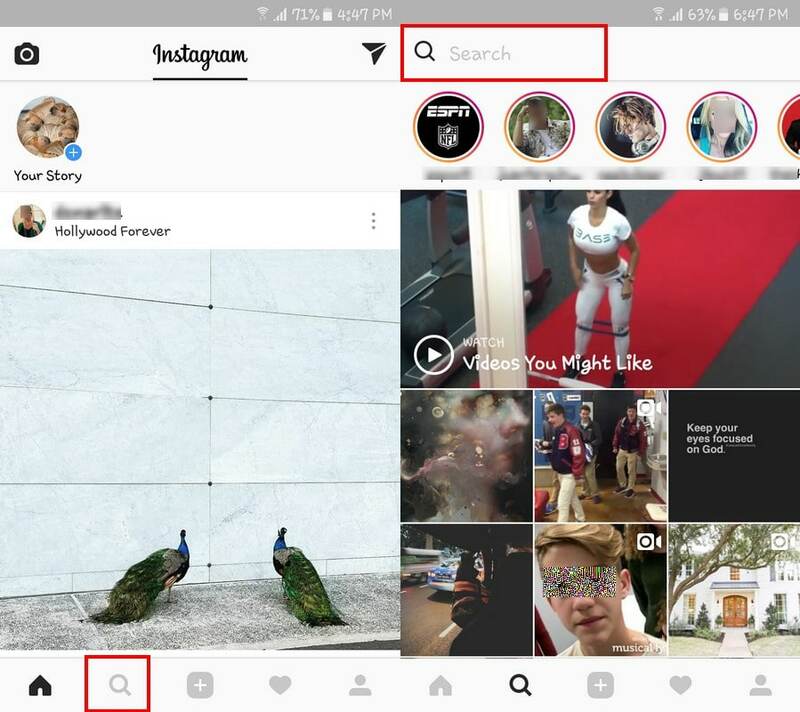 If the person you are trying to find on Instagram does follow some popular accounts on Instagram, you can try finding them by Popular Posts. Tap on the magnifying glass at the bottom and the app will automatically show you all the popular posts. There is a good chance that you are not going to find anything of your interest but scroll down and look for what you think the person you are looking for might like. The popular posts are going to be filled with comments and likes, and you never know, the person you are looking for might have commented on one of those posts. Every time someone uploads a picture to their account, they put them in a category by adding a hashtag. You can use those hashtags to find that person on Instagram. To start searching by hashtags, tap on the magnifying glass and then on search at the top. You should now see 4 tabs, the second to last being Tags. Tap on Search hashtags at the top and enter the keyword you think will help you find that person on Instagram. Also Read: Find Snapchat Friends – How to Find Friends on Snapchat? It might seem silly, but it’s always a good idea to make sure that the person you are looking for on Instagram still has an account. People close their accounts all the time, and if you have tried all of the methods and you still can’t find that person on Instagram, then you might want to consider that possibility. If the person you are looking for has a tendency to be very active, then I don’t think you are going to have a hard time finding them on Instagram. It’s all about being persistent and sooner or later you’ll finally find that user on Instagram. Maybe it’s an old friend from high school or a family member you haven’t spoken to in a while. Whoever that person might be, hopefully, you will be able to find them with the methods mentioned in the article.